Love the fit of these! 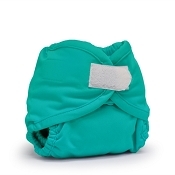 The double gusset gives a nice snug for around newborn legs (my daughter was under 7lbs) and not too bulky! I love these diapers! I bought 2 of these covers to try for night time use and they work well! I have never had a leak with them. I love how you can snap inserts into them to keep them from moving. The double leg gussets are also great for keeping poop inside. You can also use other snap inserts (e.g. funky fluff inserts) in the buttons diapers. I wish I had known about these before buying other diaper covers. I find they are similar to the best bottom covers, but at a fraction of the cost! 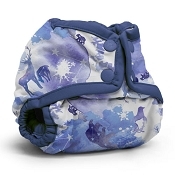 Adorable Prints, Great fit, and affordable clothe diaper system. We love this cover. Many cute prints to choose from. Lots of snaps for easy size customization. We got a great fit from birth, and my son at 12 lbs outgrew the other NB size covers we owned (from motherease and bummis) but he still fits these. We used over fitted and prefolds and it worked great. No leaks. Would highly recommend adding these to your stash for your NB!! I will buy more before the next newborn period for sure. 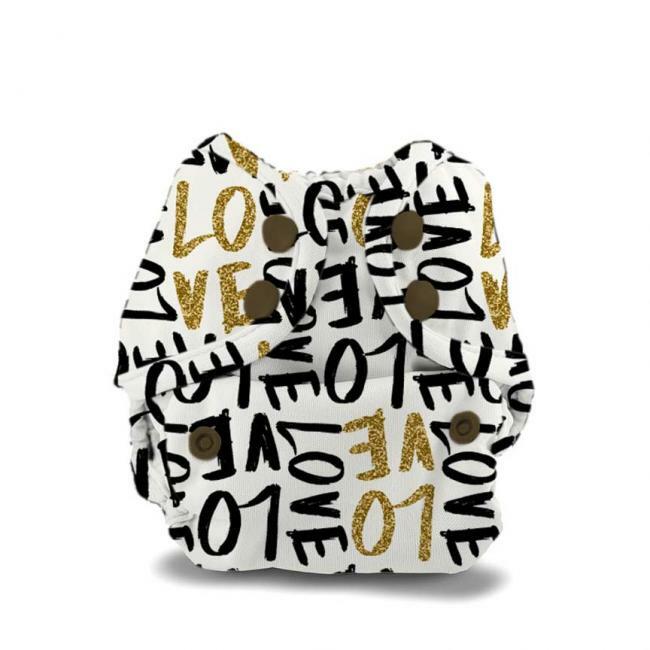 I only bought one of these, but I wish my baby had not outgrown it so quickly. They are good quality and the patterns are adorable. Would happily buy again for another baby. Love these diapers!! We started out with these diapers when my baby was about 2 weeks old. Baby is now 12.5 lb 25 in long and we use both the newborn and one size covers. We use a flat and snappi most of the time under these. Sometimes we use an insert that snaps in but I'm not sure if they're the same brand so I can't speak to the quality if Button inserts specifically. 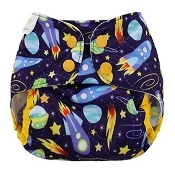 Very versatile diapers. Occasionally we get a bit of a pee leak but that is really just when we've left a diaper too long anyway, or if we neglected to make sure the flat was fully tucked in - so user errors, not the fault of the diaper itself. These are durable and very adjustable. Love that you can also just give these a quick wipe for a #1 change and re-use the same cover a couple of times in 1 day. We started using these covers when our son was 2 weeks old. They have been great for him. We've been able to adjust the sizing for a perfect fit, especially as he's got fairly skinny legs. They are great quality at an excellent price. Definitely recommend this brand and specifically the newborn size. My new favorite covers! Overall, I love Buttons brand. The covers are trim, and fit well my newborn. She's almost 1 month old (9 lb), and still have room to use these covers. Definitely will be buying One-size afterwards. Highly recommend these!